Harry Kane looked to have secured his side a first Group B win of the season with his second-half header, but goalkeeper Lloris was dismissed for a 78th-minute foul on Hirving Lozano and De Jong smashed home an equaliser three minutes before full time. Earlier, Lozano pounced on Toby Alderweireld's 29th minute mistake to give the home side the lead, but Lucas Moura equalised 10 minutes later after Davinson Sanchez had controversially had a goal ruled out for offside. PSV also started the match without a point, but after Kane had looped an early header onto Jeroen Zoet's crossbar, Lozano gave them the lead when he capitalised on a mistake by last man Alderweireld. The Tottenham defender conceded possession 30 yards from goal, allowing the PSV forward to drive into the area and shoot. Alderweireld did well to get back and make a recovery tackle, but his efforts only helped the ball loop over Lloris and into the net. Sanchez thought he'd equalised five minutes later when he rifled the ball home after Zoet pushed away Alderweireld's header, but he was denied by the linesman's flag as Kane - standing several yards away from the ball and out of the goalkeeper's vision - was penalised for standing in an offside position. However, the equaliser arrived five minutes after that as Eriksen slipped in Kieran Trippier to pull the ball back for Lucas, whose shot deflected off Nick Viergever and in. Mauricio Pochettino made three changes to the side that beat West Ham, as Christian Eriksen, Heung-Min Son and Mousa Dembele replaced Erik Lamela, Moussa Sissoko and Harry Winks. Mexico star Hirving Lozano started up front for the hosts. Gaston Pereiro hit the bar as the first half drew to a close, but Spurs had the lead within nine minutes of the restart. Heung-Min Son created space for Eriksen to cross from the left and Kane headed down into the turf and beyond Zoet to put Tottenham within reach of victory. Substitute Erik Lamela rattled the bar in the 73rd minute, but the game turned on its head five minutes later when Lloris raced out of his area and took down the rampaging Lozano to earn a straight red card. Michel Vorm came off the bench and did well to keep out De Jong's free-kick at full stretch, but the PSV striker had the final say when he lashed home from close range three minutes from time after a free-kick caused chaos in the Tottenham penalty area. That late goal means Mauricio Pochettino may now need maximum points from the remaining three games - at home to PSV and Inter Milan before a final-day trip to Barcelona - if Spurs are to reach the last 16 of the Champions League for a second straight season. 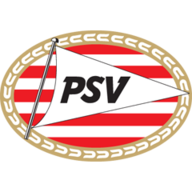 PSV are winless in five home Group Stage matches in the Champions League (D2 L3), after winning four of their previous five. Tottenham are winless in five Champions League games (D2 L3), their longest run without a win in the competition. Spurs have failed to keep a clean sheet in each of their last five Champions League matches, their worst ever run in the competition. Lozano has been directly involved in 15 goals in 15 matches in all competitions for PSV this season (11 goals, 4 assists). Kieran Trippier's assist for Lucas Moura's first half equaliser was his 20th in all competitions for Tottenham. Eriksen has assisted 21 goals for Harry Kane in all competitions for Spurs, more than any other teammate. It was ultimately a disappointing night for Spurs, but for much of the second half it looked as though they were on course to pick up their first win of the campaign. Full-back Trippier had helped to put them in that position with thrusting runs down the right wing throughout, one of which led to an assist for Lucas Moura's equaliser. He has now produced an assist in four of his last five Champions League games and was a constant threat with his set-piece delivery throughout. If VAR had been involved there is a real chance Sanchez's first-half effort would not have been ruled out for offside. Kane was standing in an offside position when the defender rifled into the back of the net from a corner, but he was near the far post as the ball fizzed several yards in front of him to the near post. It's hard to justify the claim that he was interfering with play and, if given the chance for a review, the officials may have awarded the goal. The two teams meet again in the Champions League at Wembley Stadium on November 6. 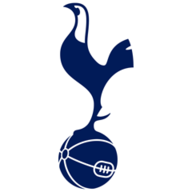 Before that Spurs host Manchester City in the Premier League live on Monday Night Football, while PSV go to Groningen on Saturday evening in the Eredivisie.